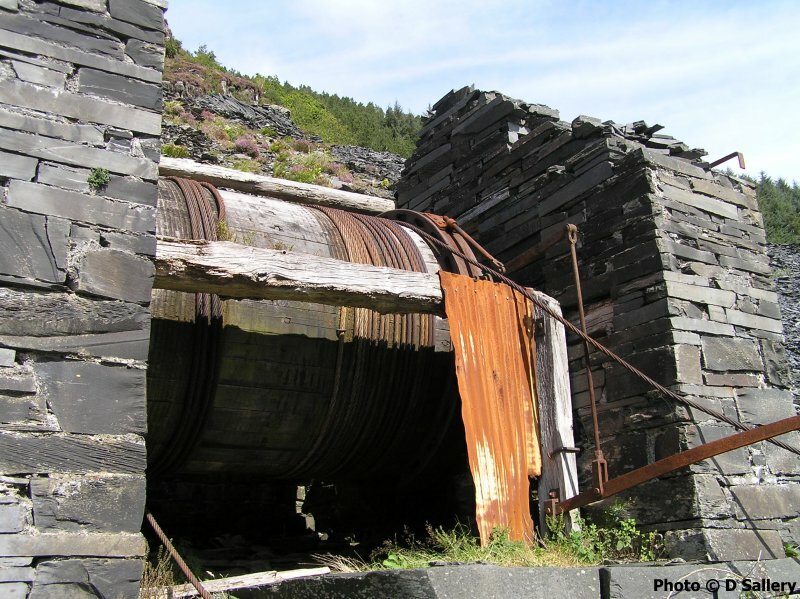 Melynllyn is a very small, long disused quarry high up in the Carneddau mountains. 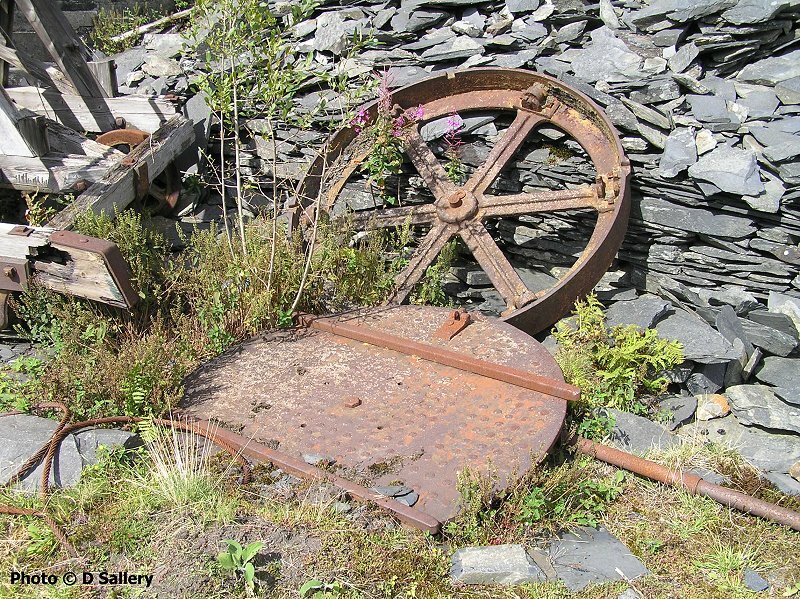 Slate slabs were worked using a sand saw, a primitive method using the abrasiveness of the sand to cut through the slate. 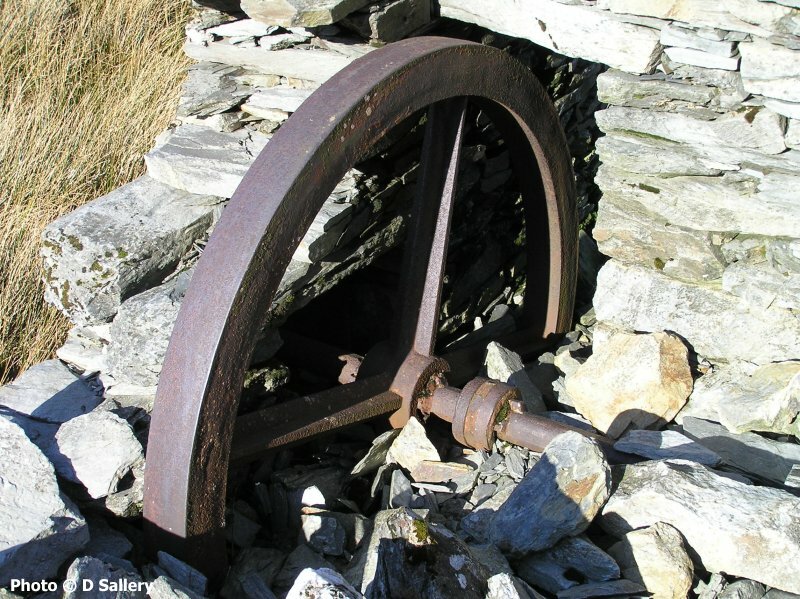 The saw, which was rotated using water power is seen below. 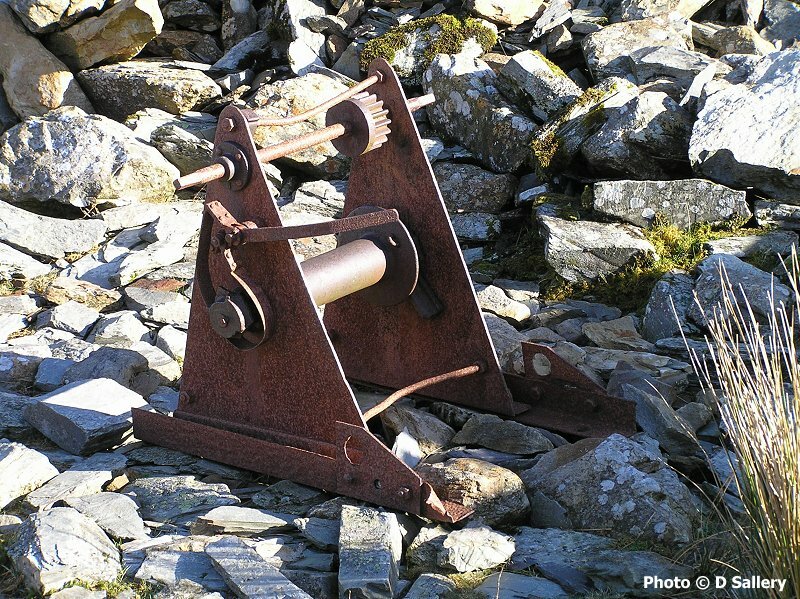 Also on site is this hand powered winch. 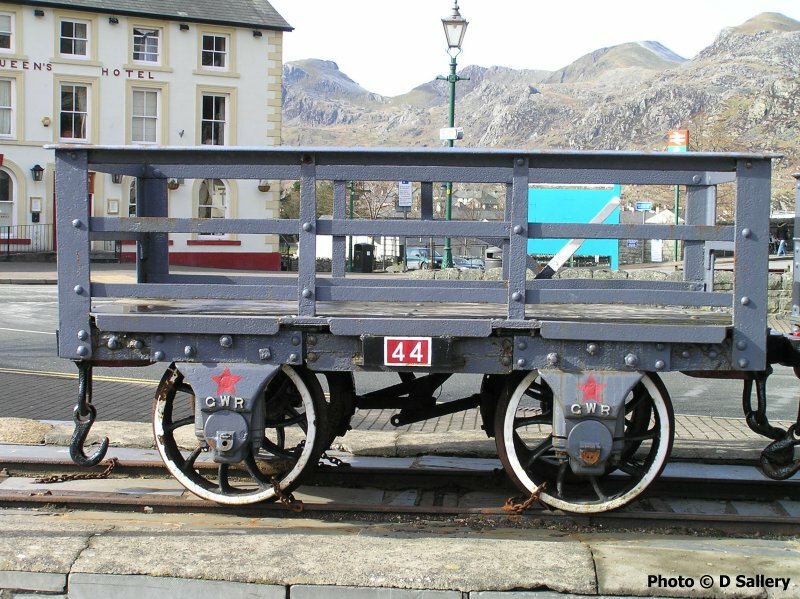 This restored Great Western Railway slate wagon is on display in Queen's Square, Blaenau Ffestiniog. 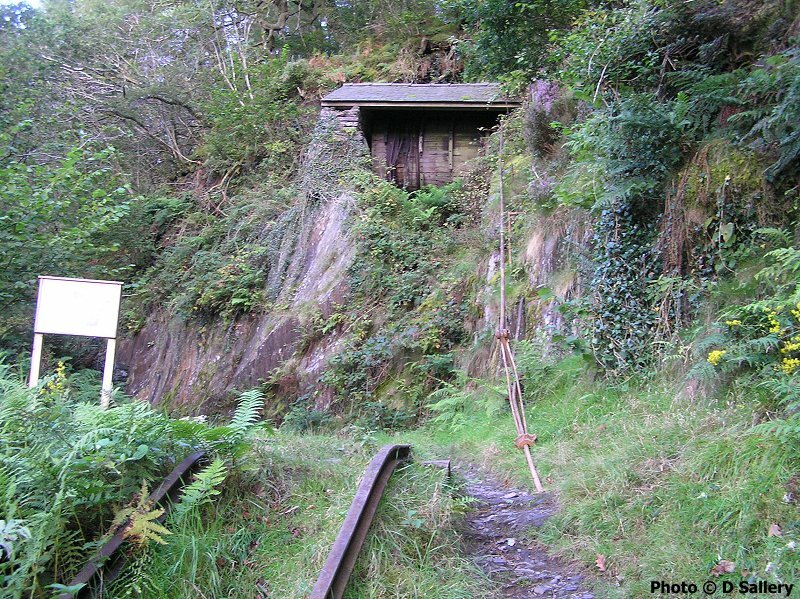 Bryn Eglwys quarry was the main traffic source of the Talyllyn Railway. 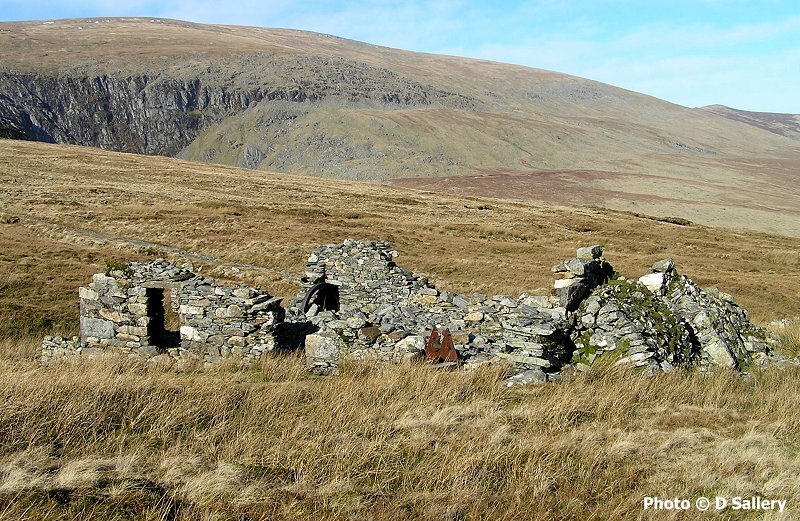 The quarry buildings were demolished by the Forestry Commission in the 1960's and the area planted with conifers. This is one of the inclines leading up to the quarry. 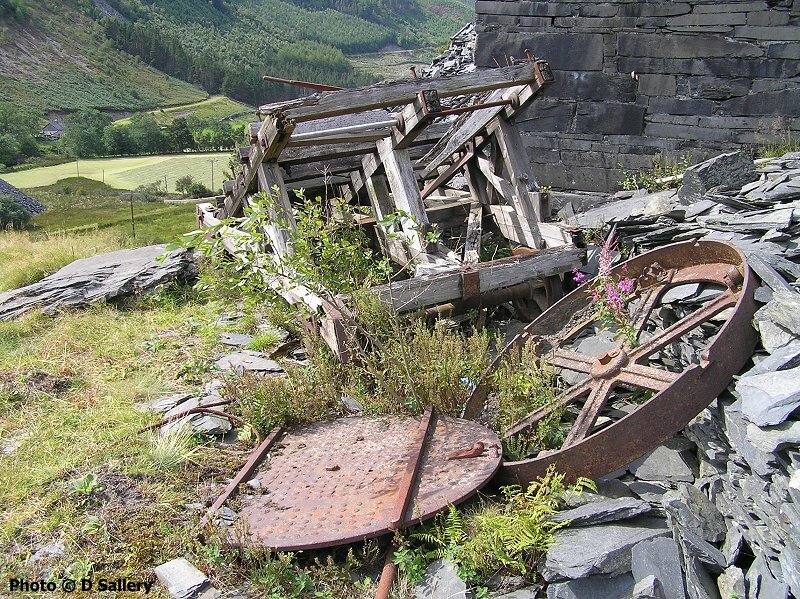 Seen here are the remains of a table incline at Aberllefenni Quarry near Corris. 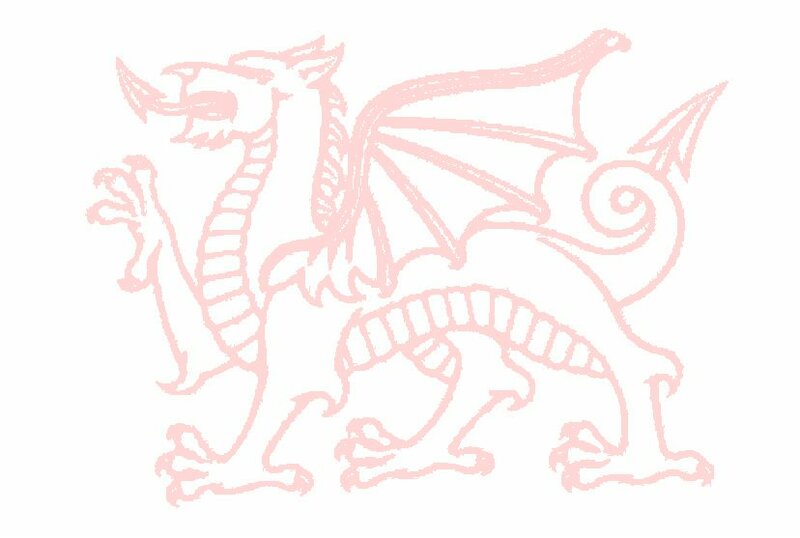 The table itself was a horizontal platform. Because of a lack of space at the top of the incline on the deck of the table was a turntable. 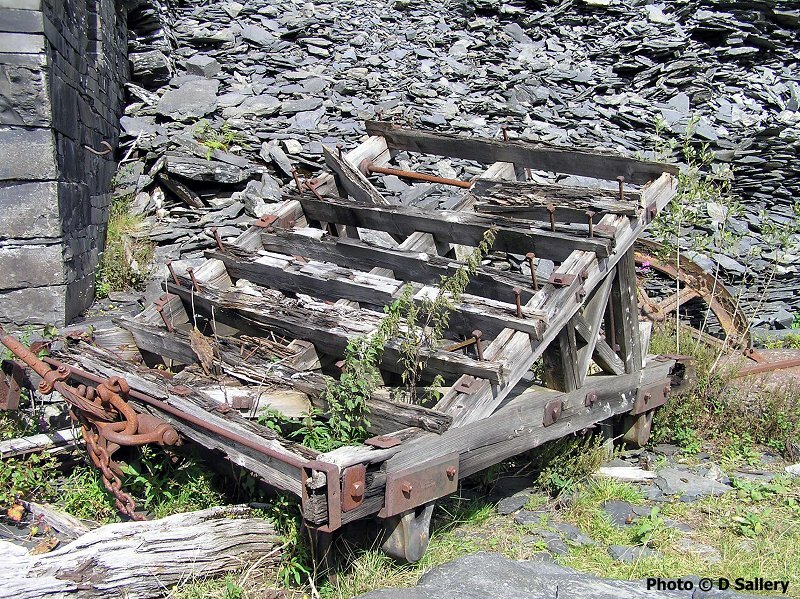 This allowed the wagon to be correctly positioned for removal. The constituent parts are seen below. 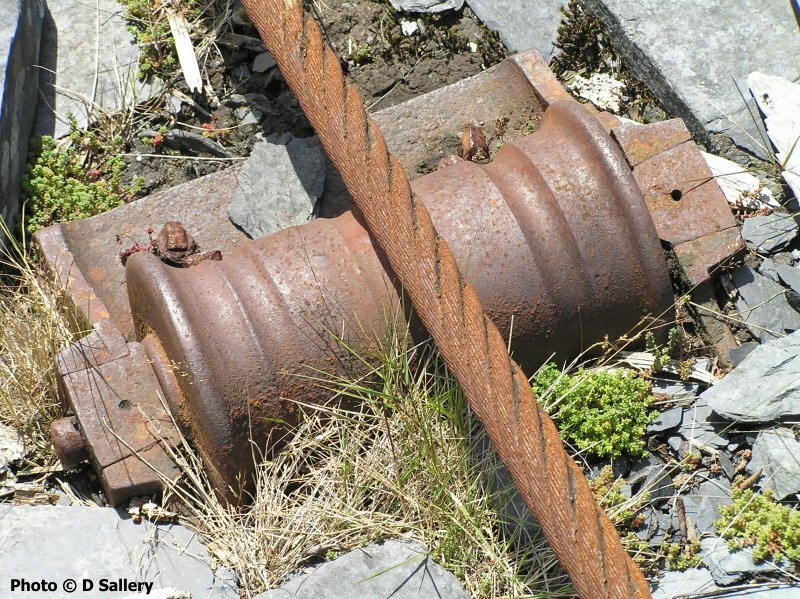 The drumhouse of the Aberllefenni incline and, below, a well worn incline roller and haulage rope.